SDL provides several ways to draw graphical elements on the screen in three general categories: primitives, images, and text. All drawing occurs on a surface, represented by the SDLx::Surface class. Even the SDLx::App is a SDLx::Surface. Though this means it's possible to draw directly to the app's surface, there are several advantages to drawing on multiple surfaces. 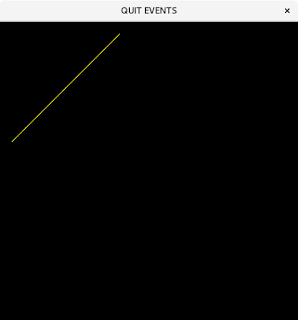 SDL's surface coordinate system has its origin (where both the x and y coordinates have the value of zero) in the upper left corner. As the value of x increases, the position moves downward from the origin. The API always lists coordinates in x, y order. The SDL library documentation has an extended discussion on coordinates: http://sdltutorials.com/sdl-coordinates-and-blitting. Parameters to these methods are generally coordinates and colors, provided as array referances. SDL color parameters require four-element array references. The first three numbers define the Red, Green, and Blue intensity of the color. The final number defines the transparency of the color. The magnitude of each color value determins how much of that color component will be mixed into the resulting color. A 0 value specifies that none of the color channel should be used while 255 specifies a maximum intencity for a particular channel. The first value coresponds with the Red channel, so a higher number there means more red will be mixed into the resulting color. It is a common practice to achieve a grayscale of varying intencity by specifying the same value for each of the Red, Green, and Blue color channels. The fourth and final value designates the transparency (or Alpha channel) where a 0 value makes the resuting color fully transparent and 255 makes it entirely opaque. A trancparency value somewhare in between will allow underlying (pixel data of surfaces below the current one) colors to be blended with the specified RGB values into the final output. The default bit depth is 32, such that each color component has 256 possible values. Other options are 24, 16, and 8. ... where $color is an unsigned integer value using the hexadecimal format (0xRRGGBBAA) or un anonymous array of the form [$red, $green, $blue, $alpha]. 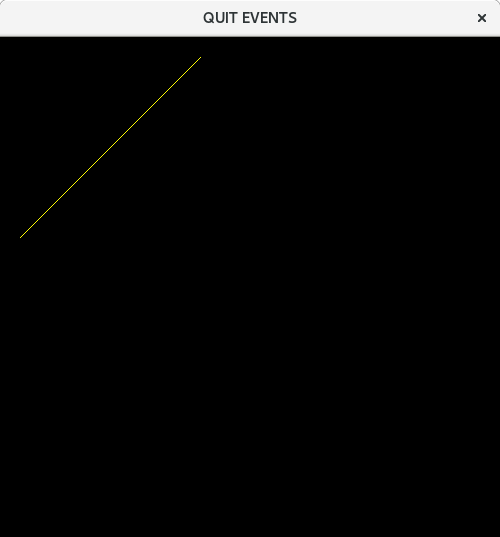 Drawing primitives are simple shapes that SDL supports natively. 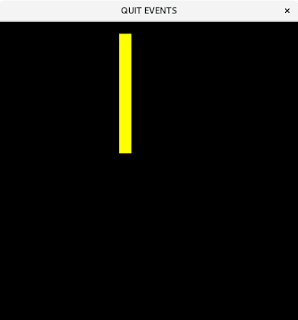 Perl SDL -> New Game!